Contains 90% calcium chloride, which penetrates ice up to 3x faster than competing materials. 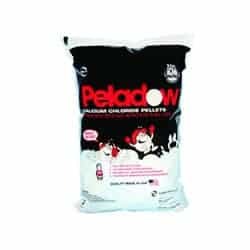 PELADOW™ is generally considered the best ice melt product for extreme cold weather by snow removal professionals. With PELADOW™, the reaction that creates brine also generates heat, making it more effective at colder temperatures than other materials, which only draw heat from their external environment. 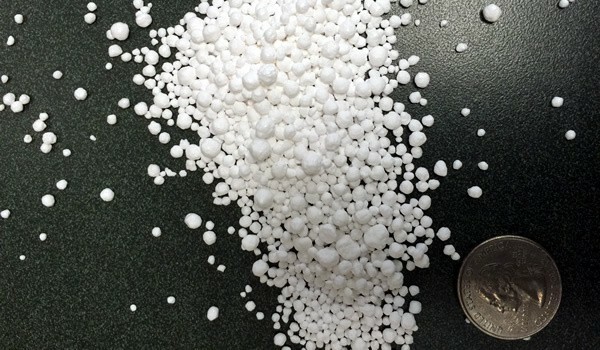 PELADOW™ calcium chloride pellets (CaCl2) turn on the heat for exceptional performance across a wide range of temperatures. While the primary use of Calcium Chloride (CaCl2) is as an ice melt for roads and walkways, Calcium Chloride (CaCl2) is also used as a food additive to increase the hardness of water. You can find it in bottled water, cheese making, and beer brewing (sorry, our calcium chloride is not suitable for food use).